Blue Louise quartzite is quarried in Brazil. It's hard to find a more dramatic stone than Blue Louise. 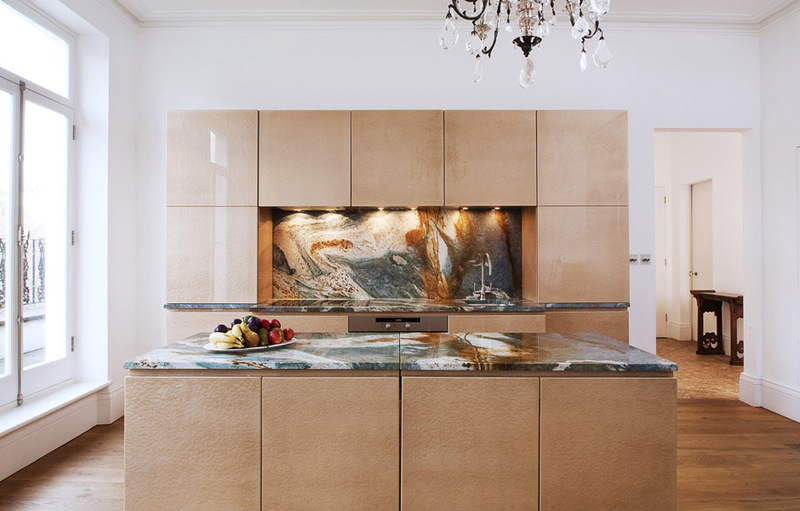 Even if you wouldn't ever use this in your own home I think most people will agree it's absolutely stunning. It's stones like these that just take my breath away...especially when you really stop and consider it comes from the earth. 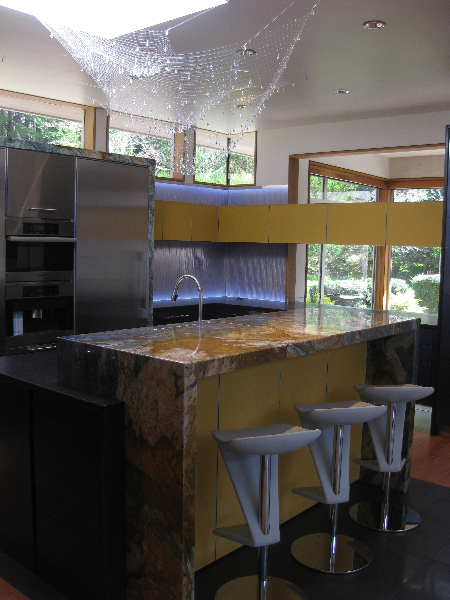 Blue Louise is often sold commercially as a granite but technically it is a quartzite. 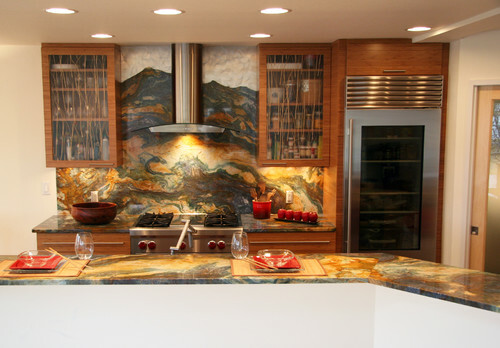 Quartzite holds up much better in kitchens than marbles do because they aren't calcium based stones, quartzite is composed of silica. Silica does not react to acids like calcium does, so you won't get the etching that occurs with marble. All this being said, quartzite is more porous than granite though. This is why I would prefer that slab yards label the stones as what they actually are. Customers need to know exactly how the stone will behave. 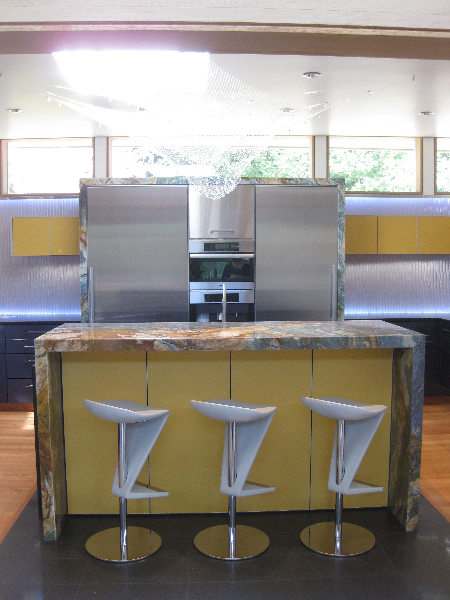 Quartzites are still a great choice for a kitchen. They will stain easier than granite, but I personally haven't come across a stain that we couldn't get out. Blue Louise can change dramatically in color and pattern from bundle to bundle, and even quite a bit from slab to slab within a bundle. So be sure to select your exact slabs! This material is so expensive that you want to make sure it's exactly what you want. Blue Louise is a lot to look at. My advice is to make sure that your cabinets, flooring and everything else in the room are kept very simple. The kitchen below is a perfect example of how this stone should be used. Other names for Blue Louise include: Van Gogh, Azul Portofino, Luisa Blue, Blue Louisa, Blue Louise, Blue Luise, Louis Blue, Louisa Blue, Louise Blue and Luis Blue. 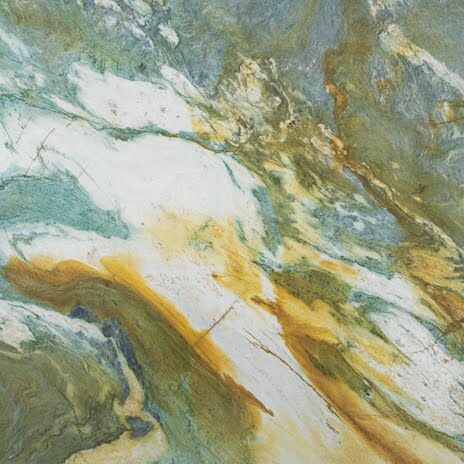 Blue Louise is available in 2 cm and 3 cm slabs.